Here is our favorite apple pie recipe, with an easy, no-fail, buttery, flaky homemade pie crust, and a filling with a mix of different types of apples, spices, vanilla, and a splash of brandy. This apple pie is my family’s most requested pie during the holidays. I usually make two of them so we can enjoy one for leftovers. Nothing better than pie for breakfast, right? It’s best to use a mix of different types of apples in your pie. Some apple varieties cook up faster than others. Some cook up firm, some more soft; some apples are more tart, some more sweet. Granny Smith – Green and tart, Granny Smith apples have wonderful flavor, but they they often lose their shape and turn mushy when cooked. So use no more than 2 Grannies in your pie, and combine with other varieties. Jonagold – A cross between a Golden Delicious and a Jonathan, Jonagolds have a lovely aromatic flavor, they’re both sweet and sharp, and they hold their shape with baking. Avoid Red Delicious apples for pies, they don’t cook well. To make apple pie, start with the crust. If you are making a homemade crust, you can make the dough a day or two ahead, and keep the dough disks chilled in the refrigerator. Peel, core and cut the apples, and sprinkle them with a little lemon juice or apple cider vinegar to keep from browning. Toss them with a little flour, sugar, cinnamon, allspice, nutmeg, and vanilla, and let the filling sit while you roll out the pie crusts. Remove the dough disks from the refrigerator and let them sit for 10 to 15 minutes before rolling one of the disks out to 12-inch circles, about 1/8″-inch thick. Line the bottom of a 9-inch pie plate and line with the rolled out dough. Trim the edges to a half-inch from the sides of the pie pan. Scoop the apples into the pie plate and create a mound in the center. Don’t worry if the apples are high in the pan, they’ll shrink as they cook. Roll out the second pie dough disk. If you want to make a lattice pie, see our directions for making a lattice pie here. (It’s easy!) Otherwise, place the second round of rolled out pie dough over the apples, and tuck the edges of the top pie crust over and under the bottom pie crust edges. Crimp with your fingers to seal. Score the top in several places to create vents for steam to escape (no need if using a lattice top). To bake, place the pie on a baking sheet (to catch the drippings) in a 375°F oven and bake for 20 minutes, or until the top starts to lightly brown, then lower the temp to 350°F and bake anywhere from 45 minutes to an hour or more longer. The way you know that the apple pie is done is that the juices are bubbling noticeably. If you have an instant read thermometer, you can insert it into the center of the pie. A reading of 200°F is done. At any point during the baking the top of the pie begins to brown too much, just tent it with aluminum foil. I usually tent the pie about halfway through the baking with foil. Let the pie cool for an hour before cutting into it, and serve it plain or with whipped cream or vanilla ice cream! Apple pie will easily last a couple of days, wrapped with plastic wrap, on your counter at room temperature. Beyond that, you can keep it chilled for a few more days in the fridge. Watch our Apple Pie Video! If the crust looks like it's getting too browned, take a large piece of aluminum foil and place on top of the pie in the oven. No need to wrap it around the pie, just place it on top. That will keep the top from browning further. Pies always seem to take longer to cook than one expects. (Perhaps it's because we're always opening the oven to check on how the pie is doing?) The filling should be visibly bubbling, which you should be able to see through the steam vents. I recommend putting a rimmed baking sheet on a rack beneath the rack of the pie to catch the filling as some of it invariably bubbles up and out over the pie. Makes oven clean-up a lot easier. 1 Make the pie crust: To make a homemade crust, in a large bowl whisk together 2 1/4 cups of flour, 1 teaspoon of salt, and 2 teaspoons of sugar. Add the cubed butter and use your clean dry hands to toss to coat with the flour. Using your hands work the butter into the flour, pressing the cubes of butter between your thumb and fingers. Continue to work the flour until the mixture is shaggy and the largest pieces of butter are no larger than a kernel of corn. Make a well in the center and add the sour cream to it. Use a fork to work the buttered flour and the sour cream into each other until the dough begins to clump. 2 Peel, core, and slice the apples: While the dough is chilling, peel, core and slice or roughly chop the apples into 1/4-inch to 1/2-inch slices or chunks. As you cut your apple slices, add them to a large bowl and sprinkle them with a little lemon juice or apple cider vinegar to help keep them from turning brown. 3 Make the apple pie filling: Combine sugar, flour and spices (allspice, nutmeg, cinnamon) in a bowl. Add the flour mixture to the apple slices and use your hands to distribute the flour through the apples so they are well coated. Then sprinkle with brandy and vanilla extract and stir to coat all the apples. 4 Prepare oven: Place one oven rack in the lowest position and put a large rimmed baking sheet on it (to catch any drippings from the pie.) Position a second rack the next rung up (still in the lower third of the oven) and preheat to 375°F. 5 Roll out the dough and line bottom pie plate: Remove one crust disk from the refrigerator. Let sit at room temperature for 5-10 minutes. Place disk on a lightly floured, clean, flat surface. Using a rolling pin, roll out the pie dough to a 12-inch circle, about 1/8 of an inch thick. As you roll out the dough, check to make sure it isn't sticking. If and when it starts to stick, gently lift it up and sprinkle a little more flour on the table surface or on the pie dough to keep the dough from sticking. Gently place the rolled out dough onto a 9-inch pie plate. Press down to line the pie dish with the dough. 6 Place apple slices on top of the bottom crust: Arrange the apple slices in the dough-lined pie plate. Mound the apples in the center. 7 Roll out top crust, place over apples, trim and crimp edges: Roll out the second disk of dough, again to 12-inches. Gently place the second round of pie dough over the apples. Trim excess dough with kitchen shears, leaving a 3/4 inch overhang from the edges of the pie pan. Fold the dough under itself so that the edge of the fold comes right to the edge of the pan. Press the top and bottom dough rounds together as you flute edges using thumb and forefinger or press with a fork. 8 Brush with egg wash, cut vents: Place egg yolk and cream in a small bowl and use a fork to stir until well combined. Use a pastry brush to brush the egg wash over the top and fluted edges of the pie. Use a sharp knife to cut slits in the top of the pie crust for steam vents. 9 Bake: Place pie on oven rack centered over the baking sheet on the rack below it to catch any drippings. Bake the pie at 375°F until crust begins to lightly brown, about 20 minutes, then reduce heat to 350°F. 10 Let cool: Transfer the apple pie to a rack to cool for at least 1 hour. Serve slightly warm or at room temperature. Great with a side of vanilla ice cream. Hello! All photos and content are copyright protected. Please do not use our photos without prior written permission. If you wish to republish this recipe, please rewrite the recipe in your own unique words and link back to Apple Pie on Simply Recipes. Thank you! Hi, do you know any sour cream substitutes for this recipe? Please tell me… Have a good day! Very good recipe and tips. I was reading about apple pie history and aparently cheddar cheese while baking used to be a topping for apple pie. I had a little trouble with the crust but my butter may not have been at room temperature. I was able to roll it out and piece it together and it was delicious! I will make this again. Thank you for a great recipe. The sour cream crust was delicious! I’ve been using this pie recipe for four years now and always get so many compliments on how perfect the crust is! It’s definitely my go-to recipe. I was thinking of trying it this season with a lattice crust– do you have any advice on how to adjust the recipe or baking time? Hi Meg, I made the apple pie for Christmas this year with a lattice crust. The lattice was an open lattice crust which helped because the open holes acted like vents and since it was an open lattice I didn’t need to make extra dough. I made no changes to the timing of the recipe, it worked out great! Took longer then expected but turned out great. Would maybe prep ahead of time like make dough/crust night before or cut apples before. 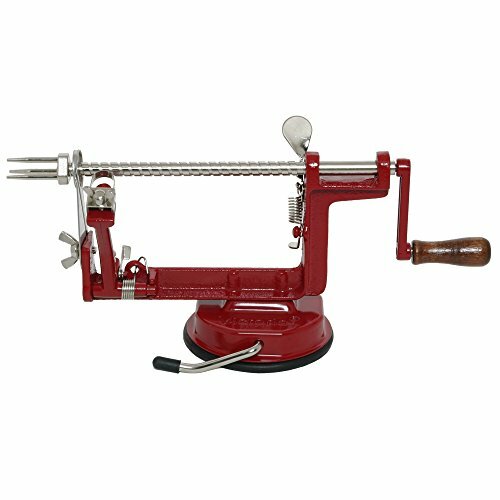 It would also save a lot of time if you have an apple corer or peeler. This is my go to pie crust for not only apple pies, but other fruit pies as well. Superb! I adjusted this recipe for a 12-inch pie plate and it still came out PERFECTLY! My family loved it and was so impressed. Thank you for the recipe!! I’m so glad you like the pie Marcia! Yes, the crust is really easy to work with and is so light and flaky! Is it okay if I don’t add sour cream? I’ve done three crusts with this recipe using whole fat plain yoghurt (not greek…). I just never have sour cream in the house when I want pie . So far, I’vebeen satisfied with the outcome.. Thanks for such a useful recipe. Has anyone made a Blueberry, Apple, Strawberry pie? If yes did it taste good? I had never baked an apple pie before, until now. I tried this Apple Pie recipe and everyone loved it. Didn’t have brandy but it still came out delicious. 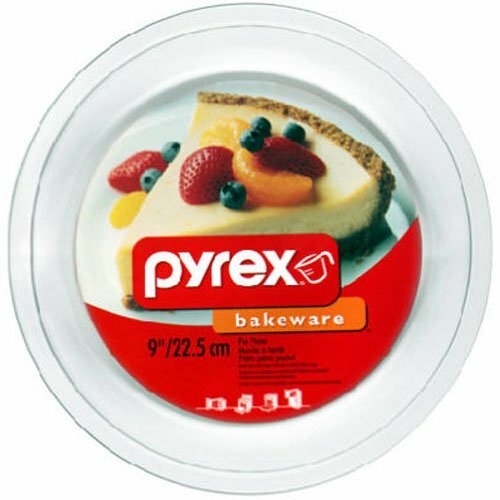 can this pie be frozen, baked or unbaked? Hi, Linda! I would recommend fully preparing your pie and freezing it un-baked (tightly wrap in foil and then put in a zip-top freezer bag). When ready to bake, preheat your oven, unwrap the pie, and bake while still frozen. The pie will take some extra time to bake from frozen; cover the edges with foil or reduce the oven temperature if the top starts browning before the insides are bubbly. Enjoy! I haven’t baked it yet but I was wondering how exactly do you reduce the heat of the oven? Do you remove the pie and reheat it or do you keep it in while reheating the oven? You keep your pies in the oven and simply reset the temperature. That’s what I did and it worked out great. Cheers. Hi, Sabrina! Michele is correct — just leave your pie(s) in the oven and reset the temperature. Enjoy! The crust was perfect however, while I chose from your selection of apples, my pie was runny. Not sure what happened. Any suggestions would be helpful as I plan to use this recipe again. Hi Giuliana, that happens some times, even when you use a mix of apples. The individual apples might have less or more moisture than average. One thing you can do is to coat the apple slices with sugar first, and let them sit for an hour. Take the liquid that is released from the apples and boil it down until it is thick and even caramelized, and then add it back to the apples and toss with flour. My first time making apple pie and this recipe was super easy and delicious! Everybody loved it and I enjoyed the baking process and love that I now have a solid pie crust recipe I’ll be using over and over again! The crust is SO key to a good pie… and this pie is absolutely delicious. The crust is flaky, tender, tasty, and beautiful with touch of egg wash. I didn’t have brandy on hand but can’t wait to try the pie with it included. Even without it was a winner of an apple pie!!! Thank you for the recipe!